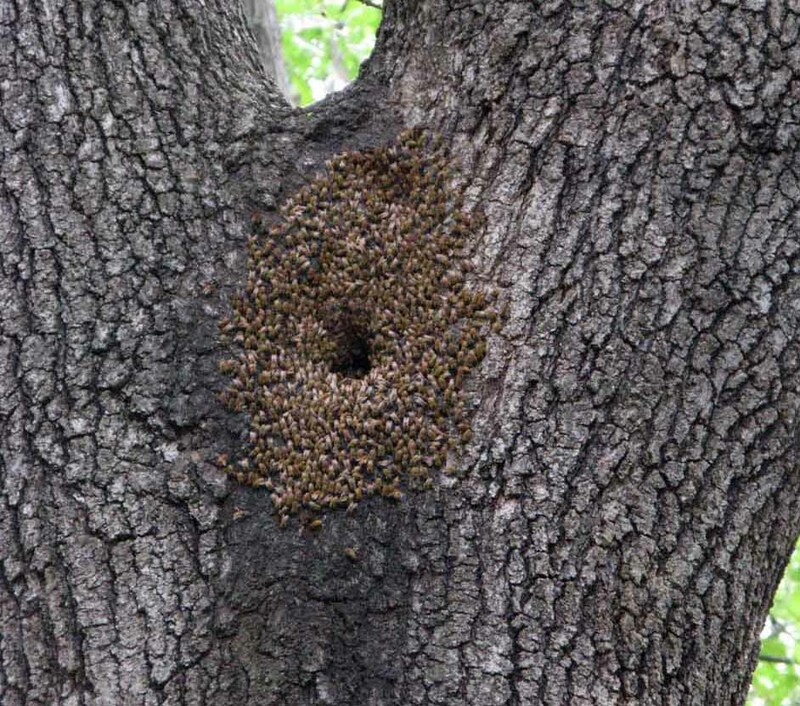 That's a bunch of bees around a hole in a tree. to ventilate the hive. Notice they're mostly facing away from the hole. They have been in that tree for several years that I know of.